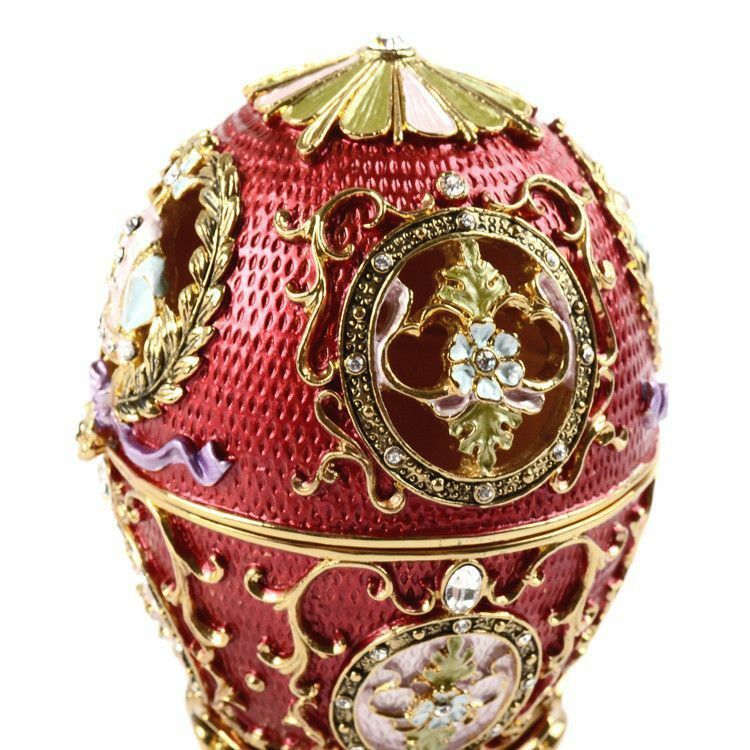 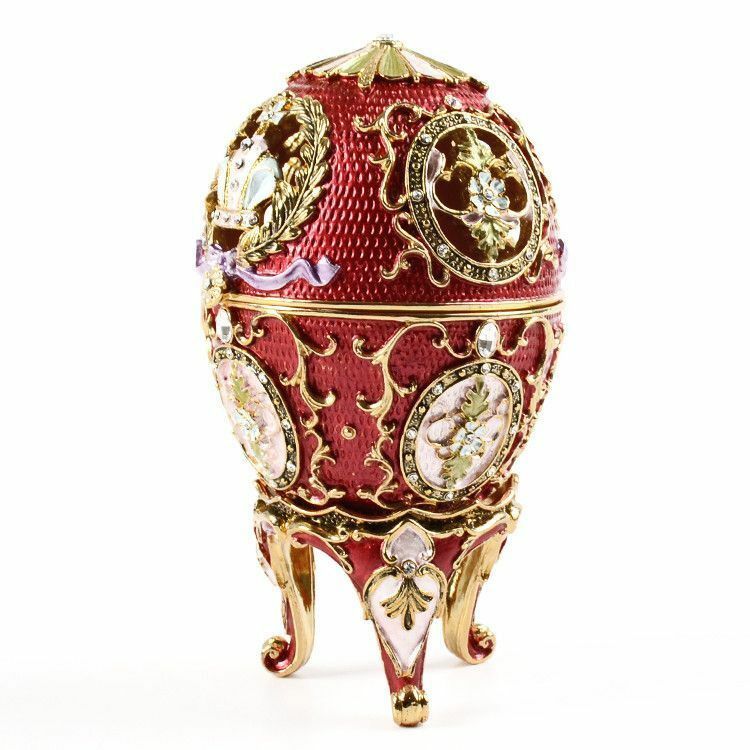 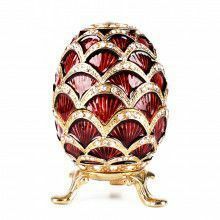 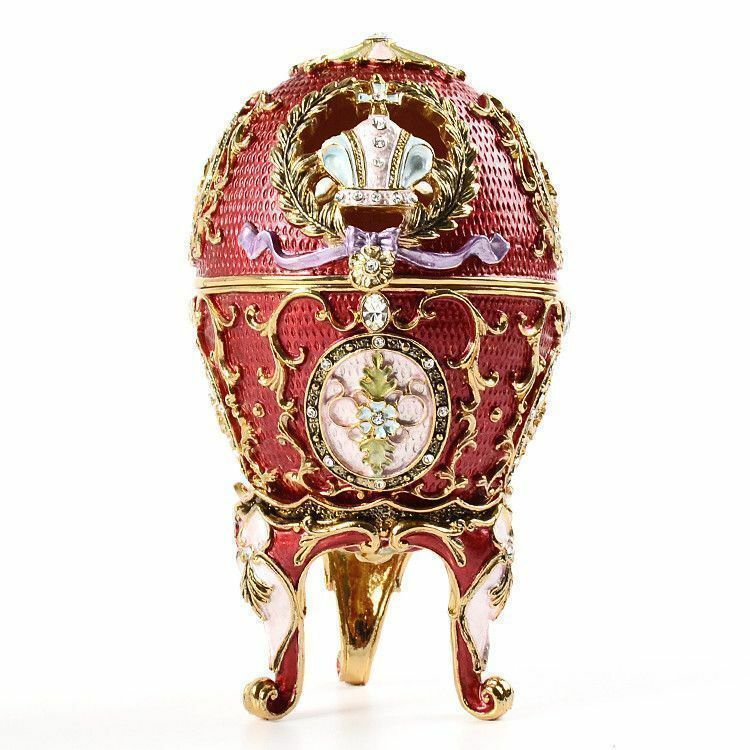 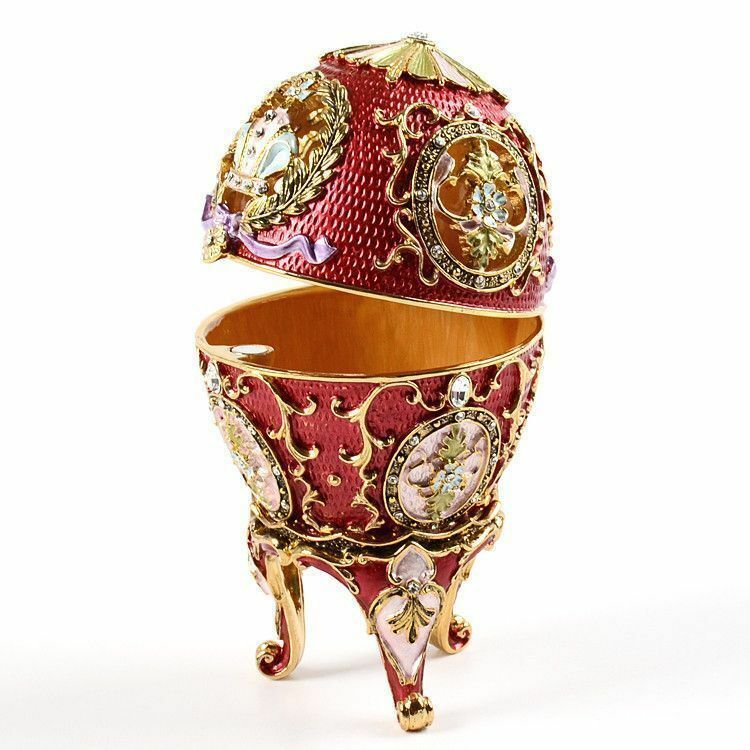 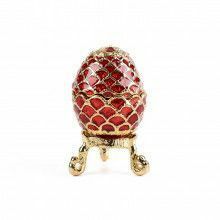 This intricate faberge egg trinket box is made from pewter, hand painted, decorated with shiny crystals, and gold plated. 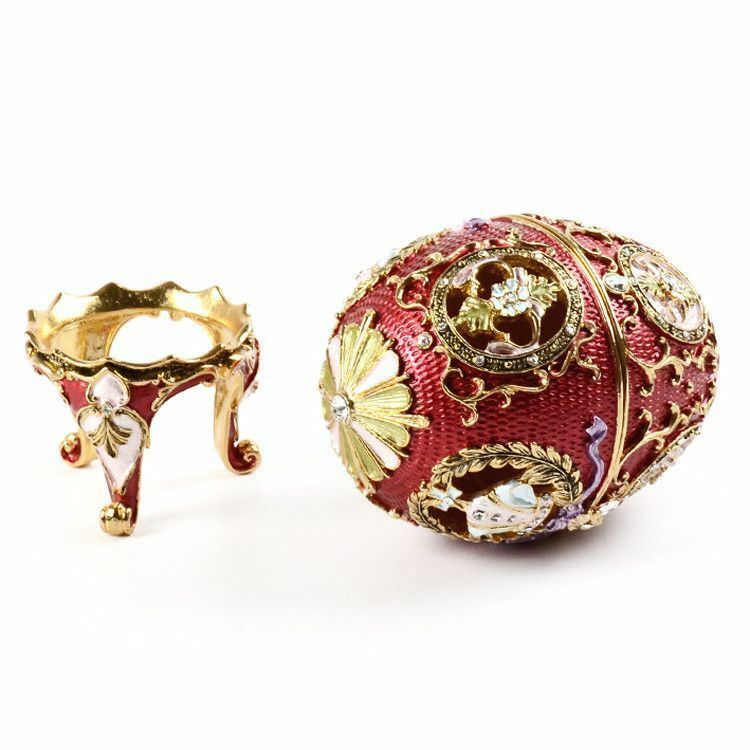 It is about 4 1/2" tall with the stand, and the roomy egg is 2 1/2" in diameter. 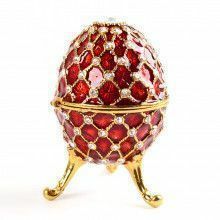 Keep money, jewelry, or other knick-nacks safely inside! 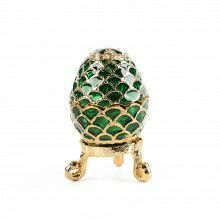 Opens and closes easily with a magnetic clasp.